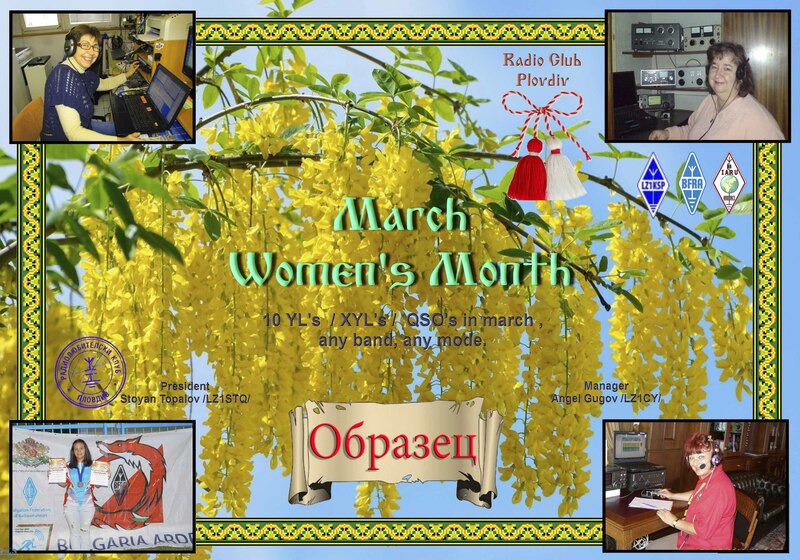 established amateur radio club of Plovdiv (Bulgaria), and is dedicated to female hams World. in the period from 01.03.2017 on 31.03.2017. Allowed all kinds of signal radiation on all amateur bands. Reusable connection different types of communication and at different ranges. Communication via the repeaters do not count. The diploma is given by SWL`s on similar conditions. Applications will be accepted until 20.04.2017.